It’s not even December but many of the traditional big Christmas advertising spenders have already unveiled this years offering to our TV screens. 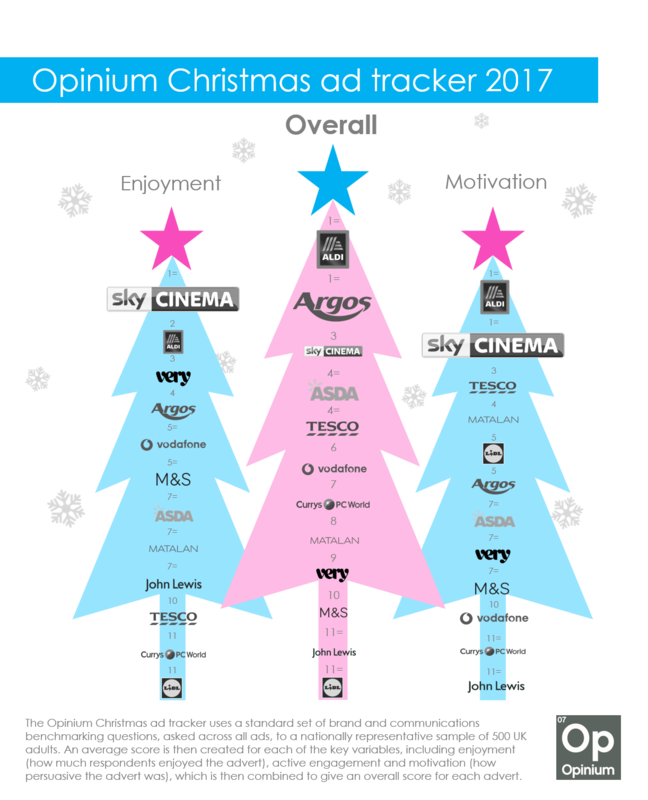 Over the next couple of weeks the Opinium Brand & Communications team will be reviewing all of the Christmas advert action and updating our league table to find out who is top of the tree this year and who is this year’s Xmas-turkey. We’ve been pretty busy and have already conducted in-depth research into 12 entries in our league tables. Aldi remains in top spot on ‘Overall Performance’ and is joined by the high energy, factory fun brought to us from Argos, continuing their campaign from previous years highlighting speed of delivery. With big music, big action and lots of Argos red the campaign delivers well in terms of stand out on screen, emotional appeal and motivation. So where is the much hyped 2017 John Lewis “Moz the monster”? Well, it’s no Buster the bouncing boxer dog that’s for sure. 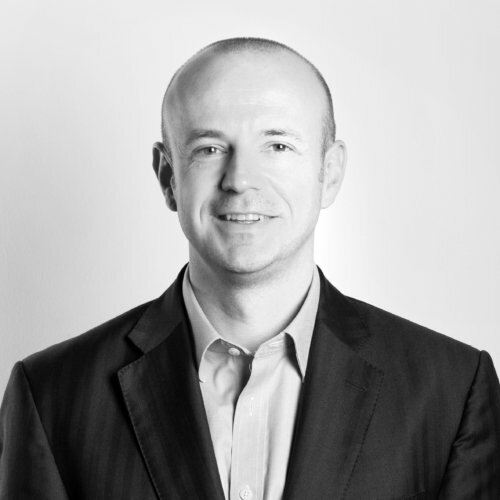 Whereas Buster was the most ‘enjoyable’ ad from 2016, Moz misses the mark, let’s hope in-store monster sales make up for it. Perhaps a surprise leader on our ‘Enjoyment’ league table is Sky Cinemas Sound of Music inspired table of family festive movie watching, in second spot is a return visit from Aldi’s 2016 “Kevin the carrot”. There is a definite lack of humour so far in many of this years ads with creative agencies trying to pull at our heart strings yet again, Kevin the carrot puts some humour back into the festive ad break. Interestingly when we look at the top performs in terms of ‘Motivation’ Sky Cinema and Aldi are again leading the way so clearly doing a great job at striking the balance between entertaining the audience, but also landing their desired message. In the next wave we’ll have some more new entries and we’ll see how Sainsburys “Sing a long” and another returning Xmas favourite, Cadburys advent calendar, fair this year.